Ruth is a solicitor in the Commercial & Business team at Hayes solicitors specialising in commercial litigation and dispute resolution. 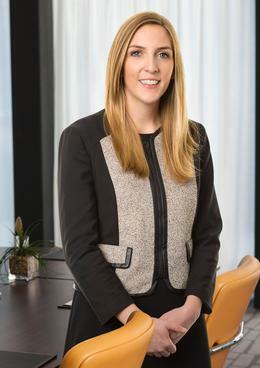 Her experience includes advising financial institutions, private equity funds, private companies and individuals in a variety of matters including contract law disputes, enforcement and recovery actions and general litigation cases. Before joining Hayes, Ruth worked in the litigation and dispute resolution department of another leading Dublin firm acting in a range of commercial litigation matters with a particular focus on advising on indemnity matters and policy wording issues and defending solicitors, accountants, engineers and other professionals against professional negligence claims on the instructions of their insurers. Ruth has also has considerable experience in advising clients through alternative dispute resolution processes such as mediation and arbitration, including international arbitration.